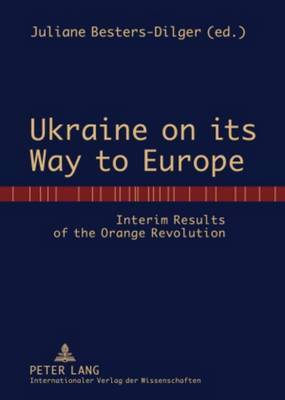 The Orange Revolution in November/December 2004 has unambiguously determined the future orientation of Ukraine: Joining the European Union has obtained top priority. "Europe" is understood here not as a geographical or historical term, but as a normative concept including respect for human and civil rights, rule of law, division of powers, parliamentary democracy, open and pluralistic society and so on. The publication has two aims: a critical analysis and evaluation of the efforts of Ukraine under President Yushchenko to bring about a change in direction toward a rapprochement to the European Union (2005-2008), and the identification of cultural constants of the Ukrainian society which either hinder or are conducive to the rapprochement.